vExpert Archives - Page 3 of 3 - VIRTUALIZATION IS LIFE! 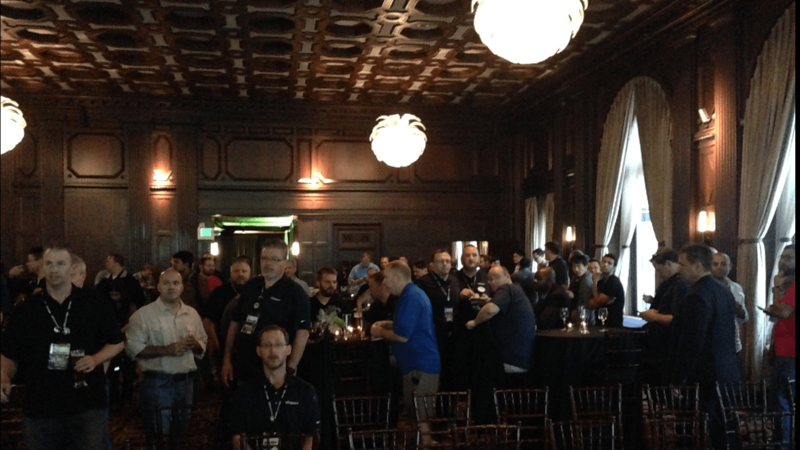 Last week at VMworld we had the annual vExpert Reception…this year the party was held at the very swanky Julia Morgan Ballroom in the Merchants Exchange building. From looking around the room I counted at least a couple hundred vExperts which is a fantastic turnout given the spread of the 1300 vExperts around the world. The agenda was split into four presentations including Cory Romero with an update on the program and also some futures on where VMware want to take the program…we also had updated from VMware’s Digital Marketing lead, NSX Certification Program Manger Chris McCain, a VCDX Program Update (did you know all VCDX’s are automatically vExperts now) and the night was capped off with a very personable presentation from Pat Gelsinger. We all get turned on by cool tech! And while that got a truthfully embarrassing reaction from the crowd it speaks volumes as to a big part of why programs like the vExpert Program exist. No one should be part of a program like this if they don’t get off on technology. Passion translates to action…and VMware (and other vendors that run similar programs) understands that there is huge power in bringing together like minded people to help push and champion their products. Interestingly, after I posted this to Twitter during the presentations I had a number of replies from Michael Stump (sidenote: Michael has a great Blog here) echoing his previous thoughts that the vExpert program is a marketing tool for VMware which he couldn’t partake in anymore…and while I respect his choice I completely disagree with his rational. There is no confusion in my head (and in others I have spoken to or that have commented) that being part of these vendor programs means we need to “whore” ourselves off a little…for the most we graciously receive the free gifts from vExpert Vendor Partners and we troll the Solutions Exchange looking for our free battery packs, speakers and apparel. We should not feel guilty about receiving these gifts but we must also understand that they do come with a small price…However the fact that we are passionate and all get off on technology means that in accepting these gifts we are doing exactly what the program is designed for…that is to help promote VMware and their partners…and in turn great tech! Now, if vExperts choose to take the gifts and run that’s totally up to the individual…but this program gives back as much as you put in…the true value of the community isn’t the gifts and awesomely good food at the reception party…it’s the community aspect that it breeds. For me I have made many new friends and contacts in the industry that I wouldn’t have thought possible without the program..in that I have been able to extend my technical knowledge and it has also served as a distribution point for the content I create and in that I believe that I can give back to the vExpert Community. Embrace the program as it continues to grow! It won’t be around forever! Follow-Up: vCloud Director SP: The Need for UI Improvement! Its been a couple of weeks since I wrote this post on the need for improvement with the vCloud Director UI and the response I’ve had to the article through the comments section, on LinkedIn and Twitter and also in the vCloud Director SP v8.0 Beta Discussion forums has been positive and supportive. With VMworld fast approaching it’s going to be interesting to see if there are any announcements around the future vCD SP and if there are indeed any movements on the need to have some form of improved UI…as shown below the Poll I conducted on that blog post reflects the reality that there are only a small percentage of vCloud Air Network Partners capable of using the new features in the vCD SP Editions. As a vCloud Powered SP, do you have in house capability to develop against the vCD API to produce a Custom Portal. I’d like to highlight a detailed comment from Rob Purdy who works from one of the leading vCloud Director Hybrid Cloud Partners, Datacom. He has had a lot of experience working with VMware and has been around the VSPP program since it’s inception. 4) It was/is still a complex interface – it didn’t flow well and ultimately that’s why VMware themselves, when they launched their ‘VMware Hybrid Cloud’ trial platform in the US, didn’t use their own interface! They realised it was too clumsy and complex so they wrote something simpler for the masses. One insider told me it was at that point the interface was doomed well before it was announced… so its demise has been on the cards for years. So I’d be surprised if they resurrect it – and if they do it shows that their strategy is all over the show. Its alive, its dead, its alive etc… Just remember, SP revenue makes up less than 10% of VMware’s… so it’s a pretty small voice. As I said in my tweet last night (and I’ve made a few calls internally to VMware contacts in the last six months) there is sure to be an announcement this VMworld, but no one will say which way… they are being very tight lipped about it. I asked Rob if I could repost this and he agreed because we share the same passion for VMware and vCloud Director and we both work for SPs with significant investments in the platform… The question has been asked of me since the original post went up about the possibility of an enhanced UI taking away the advantage SPs like Zettagrid, Datacom or iLand have by being able to develop against the vCD SP APIs but in reality a better UI that all vCloud Air Network Partners can use can only serve to strengthen the Network…and in turn that helps VMware compete against the likes of AWS, Azure and other IaaS Providers. There is a strong group of vCD Supporters who hope the news coming out of VMworld next week is positive…time will tell! For those that are not aware, VMware has had their Lab Flings going for a number of years now and on the back of the latest release (ESXi Embedded Host Client) I spent some time looking through all the flings and I thought it be useful to produce a list of my Top 5 Flings. The list below represents the Flings i’ve found most useful since I was first introduced to them…they reflect my love of NestedESXi and operations around vCloud…however there are a lot more that others will find useful. 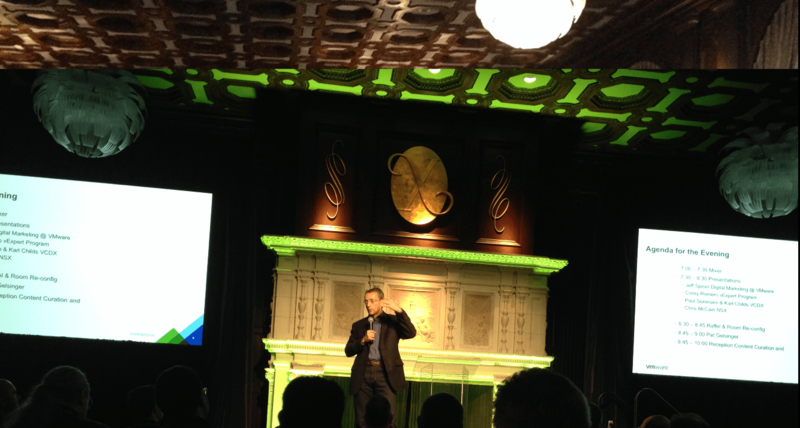 Before the list…What are VMware Flings? There are 57 Flings available for download at the time of writing this post and they range across most of VMware’s Product stack…most of them have been created out of some requirement or function that was/is lacking in the current toolset for their respective products. Most of them solve usability issues or look to resolve performance bottlenecks and look to optimize product experience…some of them end up being productised themselves. This Fling is a simple tool that enables the migration of vCloud Director virtual machines and templates from the default any storage profile to a specific storage profile. The tool can be run from the command-line with the help of a configuration file, and it allows you to change storage profiles in a batch style of processing. For those that upgraded vCloud Director from 1.5 to 5.x you would know about the Any profile issue…this fling allows you to migrate all VMs from that default storage policy to any new one you might have configured in your Provider vDC. Back before the Web Client was introduced in vSphere 5.0 this was one of the best ways to access your vCenter Hosts and VMs to perform actions remotely from you mobile phone or device. It is was an easy install and did the job…this evolved into the current vSphere Mobile Watchlist. The release of this Fling was met with a lot of thankyou’s from those who had battled with NestedESXi Hosts not having VMTools available. If anything, the ability to cleanly shutdown or restart the ESXi Guest was welcomed. With the release of ESXi 6.0 the Tools are included in the OS by default…but for those running 5.x Nested Hosts its a must have. MAC learning functionality solves performance problems for use cases like nested ESX. This ESX extension adds functionality to ESX to support MAC-learning on vswitch ports. For most ESX use cases, MAC learning is not required as ESX knows exactly which MAC address will be used by a VM. However, for applications like running nested ESX, i.e. ESX as a guest-VM on ESX, the situation is different. As an ESX VM may emit packets for a multitude of different MAC addresses, it currently requires the vswitch port to be put in “promiscuous mode”. That however will lead to too many packets delivered into the ESX VM, as it leads to all packets on the vswitch being seen by all ESX VMs. When running several ESX VMs, this can lead to very significant CPU overhead and noticeable degradation in network throughput. Combining MAC learning with “promiscuous mode” solves this problem. This Fling is close to my heart as I learnt at VMworld 2014 that it was born out of a blog post I did on Promiscuous Mode that triggered William Lam to approach Christian Dickmann with the issues and look for a way to solve the issue. As you can see from my followup post it works as designed and is the single must have Fling for those who run Nested ESXi labs. The Australian legs of the VMUG User Conferences are happening next week in Sydney and Melbourne…This year the event is even bigger than last years and if you are into all things VMware and can get to Sydney or Melbourne next week do your self a favour and register. The agenda is full of VMWorld level goodness and the keynote speakers are some of the best going round the VMware Community. Check out the Agenda here and if you are going, download the VMUG Mobile App and plan out your sessions for the day. 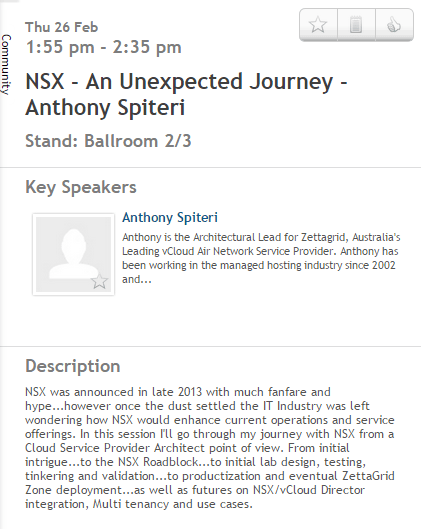 If you are coming to the Melbourne leg, i’ll be there and presenting a Community Session around NSX and my experiences around working with NSX at ZettaGrid. Get down and say hello and take advantage of this is awesome free event that provides an excellent opportunity to network and learn from some of the best local and international guys in the community. Melbourne is the Vitualization Capital of Australia and spiritual home of the aussievMafia! I’m honoured to be recognized as a VMware vExpert for 2015…this is my 4th year as a vExpert and without doubt the passion that drives this community remains as impressive as ever. There are now over 1000 vExperts worldwide and while I have questioned the swelling of the vExpert numbers over the past couple of years I believe that the community is as strong as ever and the nomination/vetting process undertaken by the team at VMware ensures all those that get the badge…earn it. There are tens of thousands VMware IT Professionals worldwide…to be 1 of 1000 is very unique! Over the last 12 months I’ve been able to increase the frequency of posts on this site and I was lucky enough to present at the Melbourne and Sydney VMUG User Conferences as well as a TechTalk community session at VMWorld 2014. I also continue to champion VMware products through my role as Lead Architect at ZettaGrid…all while staying engaged and entertained on Twitter where the vExpert community is strong. I wanted to point out a blog post and shout out to Dan McGee who I met at a partner dinner at VMworld last year. We happened to sit across from one another during the dinner and engaged in some general chit chat…I was humbled to hear that Dan knew of my blog as was a keen follower on Twitter…once Dan told me his Twitter handle I recognised the work he had been doing for his local VMUG. As he mentioned in the post he was the guy on stage during the vExpert Gameshow where he got to sit down next to VMware Legends…this community lets us engage with industry leaders and there was no better example of what Dan was able to do that afternoon at VMworld. Finally I call on all vExperts to be passionate about virtualization…engage with work and industry peers and always look to serve the community…we collectively do some pretty amazing things with pretty amazing technology…we are privileged…and we should feel privileged to be in a position to share, teach and learn with others. Time fly’s where you are having fun! Two years ago I was privileged to be awarded my first vExpert Award…In that time I have been able to keep up my community related activities and have been awarded the vExpert for 2014. At the time, I was still very much involved in my previous role as a Hosting guy…the passion I had for the hosting work I did was almost unhealthy. I was also heavily involved in Virtualization, but my day to day was looking after my previous employers Hosting and Cloud arm of the business. 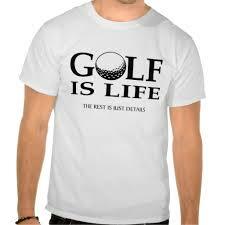 So, the title of the blog became Hosting if Life! cause at the time, it was. So as symbolic as one can get…the change has occurred and hopefully I can continue to add half decent content to this blog around the world of Virtualization…it’s certainly a world that changing rapidly…but that’s what excites me and keeps me seriously enthused to be part of this great VMware Community. Thanks to all in the vExpert Program for the award this year…perfect timing today to use this as a springboard for the title change! There where some pretty big announcements and reveals at VMworld 2012, but unless I missed something (which was totally possible had any accouncement been made on Wednesday morning) nothing significant/direct was said of Project Zephyr VMware’s public cloud offering. What is slightly confusing is that VMware have been very open in the beta for the vCloud Test Drive site (which is based on chargeback) and where offering $50 credit’s for VMworld attendee’s. So where is Project Zephyr at? If you ask anyone inside VMware (and I have tried on many levels) you get a very scripted company line response along the lines of “We don’t comment on rumours”. The most I have been able to get out of anyone is that it’s nothing to worry about for vCloud Service Provider Partners. While initially I felt a strong sense of almost betrayal! After all the work VMware have done helping providers compete against other public cloud offerings (see my opening blog post), and always being about the partner cloud ecosystem it felt like a shift in direction overnightâ€¦one which is obviously driven by the fact the big boys of Amazon, Azure, Google and to a lesser extend RackSpace have all taken significant chunks of the market space. Obviously Amazon is the biggest, but Azure and Google will start to flex muscle because of who they are. With that I do understand VMware’s nervousness in the fact the vCloud ecosystem hasn’t grown as quickly as they would like, but I would argue that the pure public cloud space and where vCloud offerings sit are completely different market verticals and therein lies my ultimate sense of ease with Project Zephyr if it eventuates. Extend that to my local market of Australia, we are only now just seeing RackSpace and Amazon show interest in availability zones locally to counter the huge data sovereignty issue that exists in Australia the big boys aren’t really here yet and hopefully won’t get established for a long time I also believe that Australian companies, be it a large corporate or an SMB trust and like to do business with local providers of whom there is an existing strong relationship. In our industry, cunsumers don’t by on brand alone, they buy on relationshipsâ€¦if you own a strong customer relationship 9/10 they will go with your offering. What I would ask of VMware is that, if Zephyr comes to light offset any potential partner unease by extending the provisioning and automation tools used for the public platform, by way of releasing a step-by-step framework with all relevant documentation and examples so that vCloud partners can easily provide the same level of functionality to their offerings. The last point I want to make here is that, for me the public cloud space is the domain of the developer I’ve seen it locally here where pure consumption based IaaS providers main client base is the developer community usually VM’s are procured for dev/testing and if applications are hosted off them it’s to burst out, or because they don’t require a significant backend such as MSSQL or Oracal. I only know of a couple major sites (and no major corporation) that hosts with a pure Public Cloud provider. This is where the vCloud Ecosystem can actually continue to thrive especially in Australia, by way of ensuring that our platforms are the obvious choice for companies that want maximum flexibility, power and scalability, enhanced support and manageability, but also want to actually engage in partner relationships to maximize the service offerings vCloud partners can differentiate public clouds can’t.